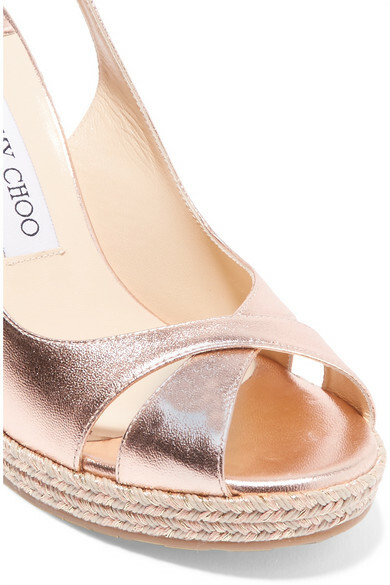 Jimmy Choo's 'Amely' wedge sandals are the kind of pair you'll always reach for, whether it's for spontaneous trips away or weekend brunches. 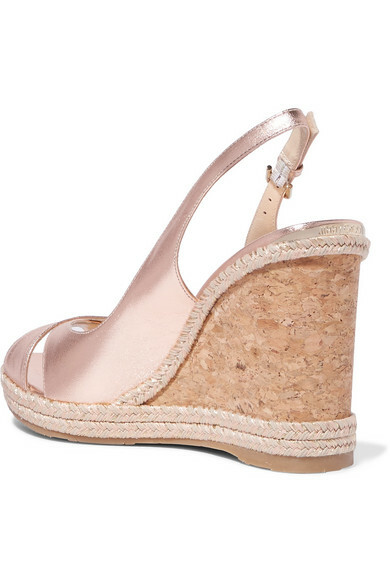 They've been made in Spain from metallic leather and rest on a 105mm cork heel that's balanced with a slight espadrille platform. Wear them with dresses, kaftans or jeans. Shown here with: La Ligne Dress, Cult Gaia Clutch, Chan Luu Necklace, Dinosaur Designs Earrings.